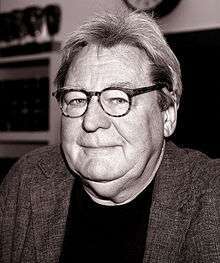 For other uses, see Alan Parker (disambiguation). Sir Alan William Parker, CBE (born 14 February 1944) is an English film director, producer and screenwriter. Parker's early career, beginning in his late teens, was spent as a copywriter and director of television advertisements. After about ten years of filming adverts, many of which won awards for creativity, he began screenwriting and directing films. Parker is noted for having a wide range of filmmaking styles and working in differing genres. He has directed musicals, including Bugsy Malone (1976), Fame (1980), Pink Floyd – The Wall (1982), The Commitments (1991), and Evita (1996); true-story dramas, including Midnight Express (1978), Mississippi Burning (1988), Come See the Paradise (1990), and Angela's Ashes (1999); family dramas, including Shoot the Moon (1982), and horrors and thrillers including Angel Heart (1987), and The Life of David Gale (2003). His films have won nineteen BAFTA awards, ten Golden Globes and ten Academy Awards. Parker was appointed a Commander of the Order of the British Empire for his services to the British film industry and knighted as a Knight Bachelor in 2002. He has been active in both the British cinema and American cinema, along with being a founding member of the Directors Guild of Great Britain and lecturing at various film schools. In 2013 he received the BAFTA Academy Fellowship Award, the highest honour the British Film Academy can give a filmmaker. Parker donated his personal archive to the British Film Institute's National Archive in 2015. Parker was born into a working-class family in Islington, North London, the son of Elsie Ellen, a dressmaker, and William Leslie Parker, a house painter. He grew up on a council estate of Islington, which has always made it easy for him to remain "almost defiantly working-class in attitudes" said the British novelist and screenwriter Ray Connolly. Parker says that although he had his share of fun growing up, he always felt he was studying for his secondary school exams, while his friends were out having a good time. He had an "ordinary background" with no aspirations to become a film director, nor did anyone in his family have any desire to be involved in the film industry. The closest he ever came, he says, to anything related to films was learning photography, a hobby inspired by his uncles: "That early introduction to photography is something I remember." I ended up getting a job as a copywriter. The great thing about advertising from a British point of view, is that it didn't have a kind of class distinction as other jobs had. If you were half bright, they gave you a chance. I was very fortunate that they gave me that chance. Parker took jobs with different agencies over the next few years, having by then become proficient as a copywriter, One such agency was Collett Dickenson Pearce, in London, where he first met the future producers David Puttnam and Alan Marshall, both of whom would later produce many of his films. Parker credits Puttnam with inspiring him and talking him into writing his first film script, Melody (1971). Looking back, I came from a generation of filmmakers who couldn't have really started anywhere but commercials, because we had no film industry in the United Kingdom at the time. People like Ridley Scott, Tony Scott, Adrian Lyne, Hugh Hudson, and myself. So commercials proved to be incredibly important. Parker made his first fictional film titled No Hard Feelings (1973), for which he wrote the script. The film is a bleak love story set against the Blitz on London during the Second World War, when the Luftwaffe bombed the city for 57 consecutive nights. Parker was born during one of those bombing raids, and says "the baby in that [film] could well have been me." With no feature film directing experience, he could not find financial backing, and decided to risk using his own money and funds from mortgaging his house to cover the cost. The film impressed the BBC, which bought the film and showed it on television a few years later, in 1976. The BBC producer Mark Shivas had, in the interim, also contracted Parker to direct The Evacuees (1975), a Second World War story written by Jack Rosenthal which was shown as a Play for Today. The work was based on true events which involved the evacuation of school children from central Manchester for protection. The Evacuees won a BAFTA for best TV drama and also an Emmy for best International Drama. I'd worked a lot with kids and I had four very young children of my own at the time. When you do have young children like that you're very sensitive to the kind of materials that's available for them ... The only kind of movies they could see were Walt Disney movies ... I thought it would be nice to make a movie that would be good for the kids, and also the adults that had to take them. So to be absolutely honest, Bugsy Malone was a pragmatic exercise to break into American film. The film received eight British Academy Award nominations and five Awards, including two BAFTAs for Jodie Foster. He next directed Midnight Express (1978), based on a true account by Billy Hayes, about his incarceration and escape from a Turkish prison for trying to smuggle hashish out of the country. Parker made the film in order to do something radically different from Bugsy Malone, which would broaden his style of filmmaking. The script was written by Oliver Stone in his first screenplay, and won Stone his first Academy Award. The music was composed by Giorgio Moroder, who was also awarded his first Oscar for the film. Midnight Express established Parker as a "front rank director," as both he and the film were Oscar nominated. The success of that film also gave him the freedom from then on to direct films of his own choosing. I didn't want this sort of classy MGM musical where you stop and then there's the musical number. I wanted it to come out in real situations, which it kind of does ... I went to the school and I hung out with the kids for quite a few months ... I think so much of the stuff I put into the film came out of the kids. The actress Irene Cara recalls that "the nice thing about the way Alan works with everyone is that he allowed us to really feel like classmates." However, Parker was refused permission to use the actual school portrayed in the film, the High School for the Performing Arts, because of the notoriety he achieved from his previous film, Midnight Express. The head of the school district told him, "Mr. Parker, we can't risk you doing for New York high school the same thing you did for Turkish prisons." Parker's next film was Shoot the Moon (1982), the story of a marital break-up that takes place in Northern California. Parker calls it "the first grown-up film that I'd done." He again chose to direct a subject distinctly different from his previous film, explaining, "I really try to do different work. I think that by doing different work each time, it keeps you creatively fresher." He describes the theme of the film being about "two people who can't live together but who also can't let go of one another. A story of fading love, senseless rage, and the inevitable bewildering betrayal in the eyes of the children." Critics considered the film to be Parker's best, "brilliantly scripted and acted." Its stars, Albert Finney and Diane Keaton, were Golden Globe-nominated for their performances. The film also had a personal significance for Parker, who says he was forced to examine his own marriage: "It was a painful film to make for me because there were echoes of my own life in it. It was about a breakup of a marriage, and the children in the story were quite close to my own children in age. Shoot the Moon was very, very close to my own life." He spent days with the writer Bo Goldman on developing a realistic story, and states that his marriage became "infinitely stronger as a result of the film." Parker directed Birdy (1984), starring Matthew Modine and Nicolas Cage. It recounts the story of two school friends who have returned from the Vietnam war but were both psychologically and physically injured. Parker called it a "wonderful story" after having read the book by William Wharton. However, because of the nature of the story, he had no idea how to make it into a movie: "I didn't know if you could take the poetry of the book and make it cinematic poetry, or if an audience would actually want it." The film became a critical success. Richard Schickel says that Parker had "transcended realism ... [and] achieved his personal best," while Derek Malcolm considers Birdy to be Parker's "most mature and perhaps his best movie." The message of the film, writes critic Quentin Falk, is "joyously life-affirming," which he notes is common to much of Parker's work. He adds that Parker's films manage to achieve a blend of "strong story and elegant frame," a style which he says typically eludes other directors who rely too much on the purely visual. With Mississippi Burning (1988), Parker received his second Oscar nomination for Best Director. The film is based on a true story about the murders of three civil rights workers in 1964, and stars Gene Hackman and Willem Dafoe. Hackman was nominated for Best Actor, while the film was nominated for five other Oscars, including Best Picture. It won for Best Cinematography. I wanted to do this film because I identified with the kids in the film. They came from the north side of Dublin, a working class area, and I came from the north of London, a very similar working class area. I suppose deep down that the dreams and aspirations I had when I was a kid are very close to theirs. The film critic David Thomson observes that with The Commitments, Parker "showed an unusual fondness for people, place, and music. It was as close as Parker has come to optimism." Parker says that it was the "most enjoyable film" he ever made. Evita (1996), was another musical, starring Madonna, Antonio Banderas and Jonathan Pryce. Andrew Lloyd Webber and Tim Rice's score originated from the earlier musical, but was cut for the film. Parker remembers Madonna's strong desire to play the role of Evita, that "as far as she was concerned, no one could play Evita as well as she could, and she said that she would sing, dance and act her heart out, ... and that's exactly what she did." Evita was nominated for five Academy Awards, winning for Best Original Song, which was sung by Madonna. Parker's next film was Angela's Ashes (1999), a drama based on the real-life experiences of the Irish-American teacher, Frank McCourt, and his childhood. His family was forced to move from America back to Ireland because of financial difficulties, which led to the family's problems caused by his father's alcoholism. My mentor was the great director, Fred Zinnemann, whom I used to show all my films to until he died. He said something to me that I always try to keep in my head every time I decide on what film to do next. He told me that making a film was a great privilege, and you should never waste it. Therefore, when Parker visits film schools and talks to young filmmakers, he tells them that the new film technology available for making films and telling a story is less important than conveying a real message: "If you haven't got something to say, I don't think you should be a filmmaker." The British film critic Geoff Andrew describes Parker as a "natural storyteller" who gets his message across using "dramatic lighting, vivid characterisation, scenes of violent conflict regularly interrupting sequences of expository dialogue, and an abiding sympathy for the underdog (he is a born liberal with a keen sense of injustice)." Parker produced and directed The Life of David Gale (2003), a crime thriller, starring Kevin Spacey and Kate Winslet. It tells the story of an advocate for the abolition of capital punishment who finds himself on death row after being convicted of murdering a fellow activist. The film received generally poor reviews. Roger Ebert did not like the film, calling the story "silly," although he said the acting was "splendidly done". Parker's films have won nineteen BAFTA awards, ten Golden Globes and ten Oscars. He is a founding member of the Directors Guild of Great Britain and has lectured at film schools around the world. In 1985, the British Academy awarded him the prestigious Michael Balcon Award for Outstanding Contribution to British Cinema. In 1995 Parker was awarded as Commander of the Order of the British Empire (CBE) by Queen Elizabeth II for his services to the British film industry. In 1999 he was awarded the Lifetime Achievement Award by the Directors Guild of Great Britain. He became chairman of the Board of Governors of the British Film Institute (BFI) in 1998 and in 1999 was appointed the first chairman of the newly formed Film Council. He was knighted in the 2002 New Year Honours in Australia and in 2005 he received an Honorary Doctorate of Arts from the University of Sunderland of which his long-time associate Lord Puttnam is chancellor. In 2004 he was the Chairman of the Jury at the 26th Moscow International Film Festival. In 2013 he was awarded the BAFTA Academy Fellowship Award "in recognition of outstanding achievement in the art forms of the moving image," which is the highest honour the British Academy can bestow. The British Film Institute (BFI) planned to pay tribute to Parker in late September 2015 with an event titled "Focus on Sir Alan Parker." The event coincides with his decision to donate his entire working archive to the BFI National Archive. ↑ "Alan Parker profile". Filmreference.com. Retrieved 9 April 2012. ↑ "Jets, jeans and Hovis". The Guardian. 13 June 2015. ↑ Parker, Alan. Making of "No Hard Feelings"
↑ Parker, Alan.The Making of "Shoot the Moon"
↑ Hishak, Thomas (2008). The Oxford Companion to the American Musical: Theatre, Film and Television. New York: Oxford University Press. p. 229. ISBN 978-0-19-533533-0. ↑ Parker, Alan. "The Making of 'Evita'"
↑ "26th Moscow International Film Festival (2004)". MIFF. Archived from the original on 3 April 2013. Retrieved 6 April 2013.